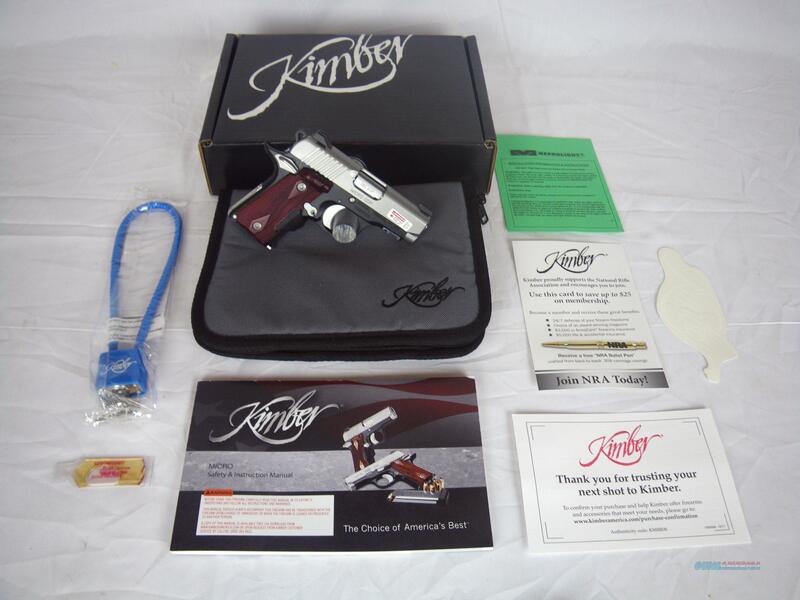 Description: You are bidding on a new Kimber Micro CDP in 380 ACP with a 2.75" barrel. This handgun comes with Crimson Trace lasergrips for easy targeting in low light environments. Self-illuminating Tritium night sights are also included. The stainless steel barrel and slide provide excellent resistance to moisture as well as providing a beautiful look with the matte black frame and rosewood grips. Displayed images are stock photos. Any questions please feel free to ask (our phone number is in the additional information tab above).